The turn around from last years debacle led by the sacrificial lamb of Bobby Valentine has been completed. Saturday saw the Boston Red Sox claim the American East Division Championship ironically against John Farrell’s previous team the Toronto Blue Jays. There has been no end of articles and posts since the American East title was claimed all stating the amazing turnaround as nothing less than “a miracle”. There are even people calling this the greatest Modern day Baseball story in a long while. Either way I think this success has been down to a few factors. Reengaging the old guard is one of the main factors. As 2012 drew to a close it was clear that David Ortiz and Dustin Pedroia were not enjoying life at Fenway Park. 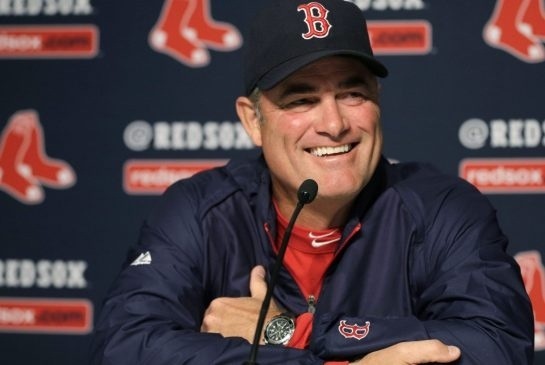 Farrell who really should have been appointed once Francona left has got them believing again. At one point in the close season it looked as if Ortiz was talking up a move to our rivals the New York Yankees. It became apparent that the right appointment as Head Coach would need to get these guys buying into his vision. 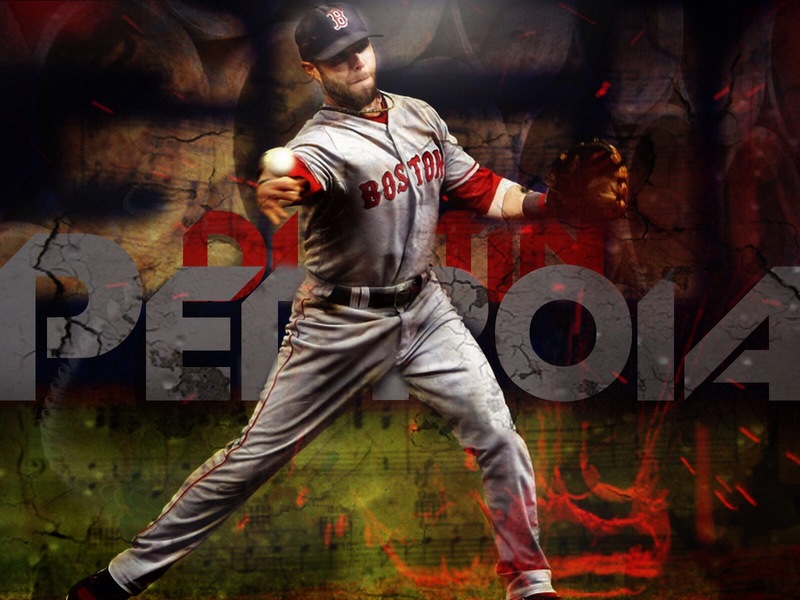 This season it has happened and Ortiz who has played 132 games has managed 28 home runs and over 90 RBI. These stats alone show that Big Papi is back and ready to carry this on into the World Series. Dustin has featured in 155 games and where his Home Runs have faltered, he has stepped up to the plate and has brought in a higher RBI figure in the 80’s than 2 of his last 3 seasons. These combined facts and performances are a major catalyst behind this seasons success. John Farrell has been nothing short of a blessing in disguise. His no nonsense approach has paid big dividends. Many including myself thought seeing Adrian Gonzalez leave with Cody Ross as big reactive decisions. Who would have thought that this would actually work in our favor as the season developed. Another of the big successes has been with the Pitching. If Clay Buchholz hadn’t of injured himself in June then it’s a safe bet that his 11-1 Record would’ve been higher. My personal highlight has been Jon Lester, he certainly has had a strong second half to this season. Jon Lester could’ve left Fenway Park after 2012 and after the first couple of months this year, many thought a trade off was possible. It’s been a fantastic change around and in the recent series victories over the NYY and San Francisco Giants, Jon has shown his true world class ability. Felix Doubront and John Lackey have also provided sterling support for a strong Pitching line up. There have been many other success stories this season. I’ve been really impressed with Mike Napoli who joined from Texas. He has always stepped up to the plate and delivered the goods when the games have seemed dead and buried. Salty has also made some big hits and it’s safe to say that this year should see him rewarded with a new contract. He has been a reliable Catcher and has had more than his fair share of critics in 2012. The final person I’d like to mention is Koji Uehara, he has had a fantastic debut season since his move from Texas. 20 saves and 98 strike outs in a season which saw him retire over 30 batters in a row highlighted his special ability. So as we head into the final few games there is still so much to play for. Ideally we will be hoping for a Home Plate advantage. 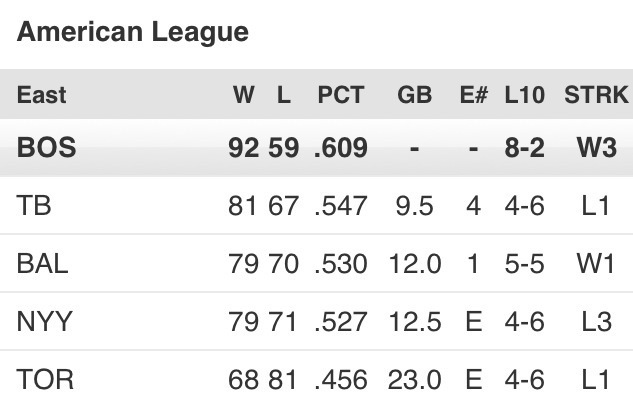 We are locked in a battle with the Oakland A’s for this reward and as things stand we are 1 1/2 games clear of them. I think 5 more wins will see us claim this morale boosting advantage and as things currently stand we look set to claim one of these against the Blue Jays tonight. 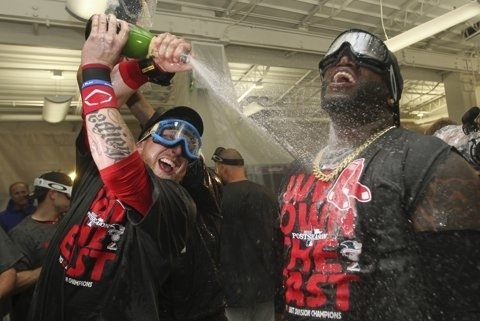 World Series 2013 Baseball is going to be one amazing ride, the important thing is that the Red Sox Nation will be part of it. 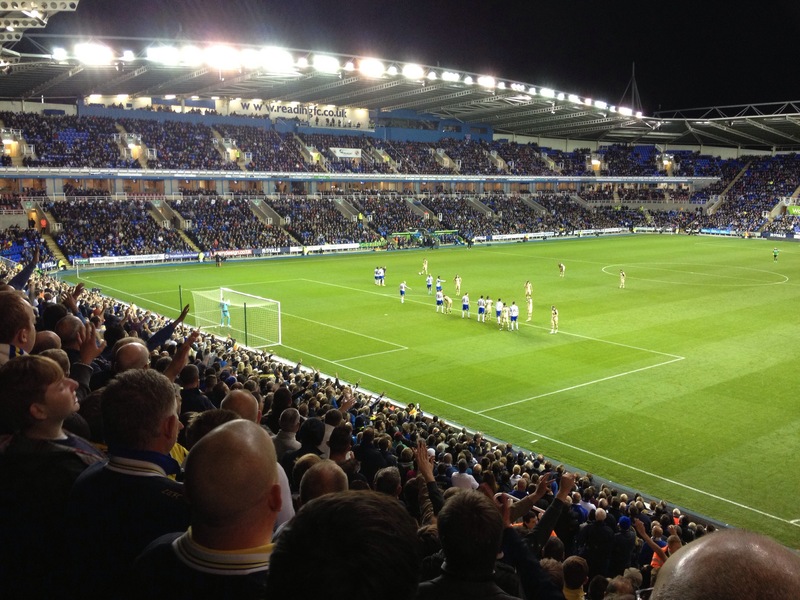 The first away trip of the new season saw me head to the Madjeski Stadium on Wednesday night in Reading. This new season has started positively and the feel good factor since the appointment of Brian McDermott and subsequent buy out by David Haigh et all at GFH has given the club a real lift. This is the same club, but only by name that had seen its heart ripped out and shoved on a steak for the vultures to surround and peck all the good bits away over these last ten years. Ken Bates did save us from Peter Quidsdale and the infamous goldfish, but the way he had put us back into administration left a really sour taste in most fans throats. That was the past, the future is now here and this season feels great. The false optimism is discarded with a sense of confidence and 3,500 Leeds fans headed to Reading with a real belief that victory could be achieved. The drive from Bedford took a little under two hours despite the M25 and M4 combined efforts to delay me. I arrived and parked up just after 6.00pm and was fortunate to park next to a fellow Leeds supporter who had travelled from Coventry. The one thing I love about Away Days is the way I never feel like I’m alone despite traveling and watching the match by myself. Leeds will always be a family and it’s nights away from Elland Road that truly allow you to appreciate the warm glow that this brings. The comedy moment from the start saw us walk straight into the Hotel Bar built within the stadium which was only accessible to Home Fans. We got in with our Leeds colors slightly on show and got served and sat down amongst a sea if Blue and White. It was even more amusing as we sat at a table with Reading fans talking about away trips abroad watching Leeds United and boasting about how lucky we are to have their old manager Brian McDermott in charge. Readings stadium is very generic which comes with new stadiums but is very smart and compact. It struck a chord which made me imagine how Ken Bates vision of Elland Road could’ve turned into had he stayed in control. We had our drink and made a bee line for the away end and grabbed a Deluxe Cheeseburger from the van outside Gates 9 & 10. I think this was a bad choice as for a couple of pounds less I saw others eating the standard cheeseburgers which looked like they were only missing Salad! 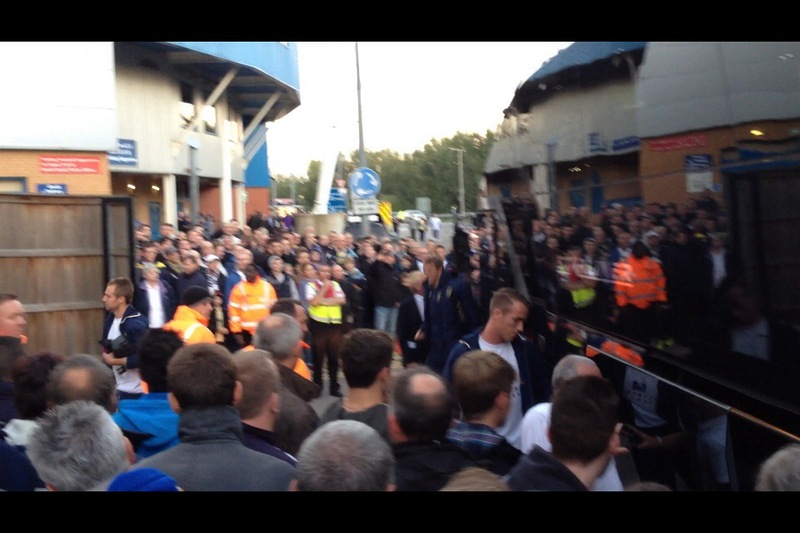 I saw the Leeds United team arrive in their coach which had been caught up in traffic. This resulted in them having less than an hour before kick off to warm up and get ready. The team received a positive reception from the fans watching and we were slightly relieved they had finally made it to the ground. The reception and atmosphere generated as the team walked onto the pitch before kick off was deafening and for almost the entire match we drowned our the disappointing home crowd. The Madjeski stadium from the inside is very smart and the fact we’d never won here before increased the difficulty of the challenge that awaited us. If there was one thing for sure, the vocal support from us wouldn’t be the factor that let us down tonight. We played exceptionally well after a scrappy first half which saw both sides have a couple of half chances. Jason Pearce and Rudy Austin in particular were the two that stood out with commanding performances. We played some slick football at times and the way we counter attacked and used the space created was encouraging. We played better with the introduction of Dominic Poleon and there were a couple of decent chances that Ross McCormack couldn’t quite get on target and work our former keeper Alex McCarthy who received a good reception from us. It was the disappointing groans that followed to only 4 minutes of added time that showed we were going for the win and if Jason Pearces header had just gone the other side of the post from a free kick we would have claimed the three points. What followed was heart breaking and painful to stomach. Reading won a free kick of their own which saw Steven Warnock dismissed for his second booking. Adam Le Fondra picked himself up to convert Drenthes cross and head the ball past Paddy Kenny. 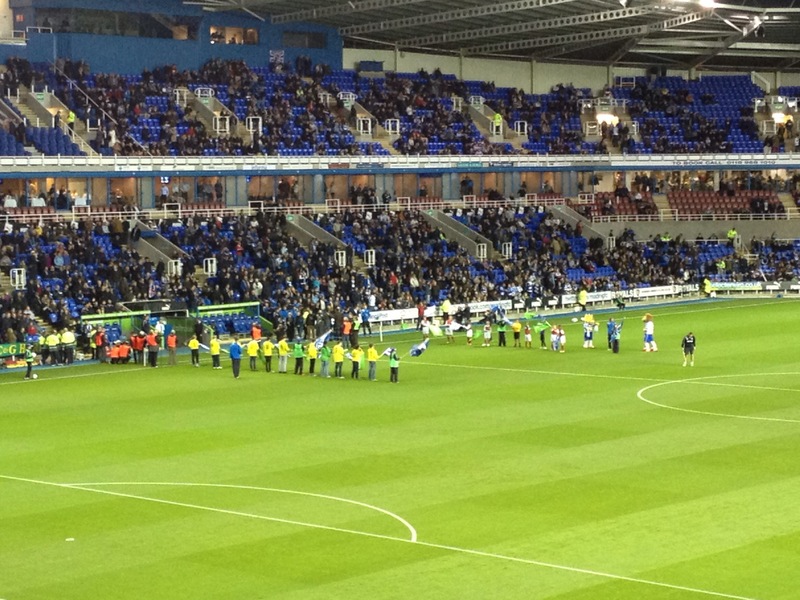 The goal was timed at 98 minutes and the Reading fans who had been quick to leave to beat the traffic suddenly reappeared and made their only telling vocal contribution of the evening….. Sorry their second following their loud cheers as Noel Hunt was substituted! It was absolutely gutting and the final whistle followed seconds after the restart. As I made my way out totally stunned and got into my car it felt as if the whole world had stopped turning. The wait to get out of the car park was agony especially as the filter system was a free for all. It was after I grabbed a coffee from the petrol station that I remembered how well we had played and that it was us going for the win. It’s been a long time since we’ve gone to other teams grounds and pushed them that hard. It was at this point that a smile crossed my face, we are Leeds and this is going to be our year. The confidence is instilled and that’s the one thing that money can’t buy. On another note it was nice to see Brian McDermott get a fantastic reception on his first visit back after his scandalous sacking last March. It was even more pleasing to see his reaction after we conceded at the death. He was devastated and showed everyone that he is Leeds through and through. We will win many more battles this season starting with Burnley on Saturday. MOT!! Following on from my Blog Posts relating to the Northampton Clown, I think it’s only fair that I created a poll to gauge the publics feelings so far. Since I wrote my posts I have received nearly 1,000 views which is really humbling. I think this is a quick way to see what we think about the mystery that is gripping the streets of Northampton. Please feel free to leave any comments you have regarding this. 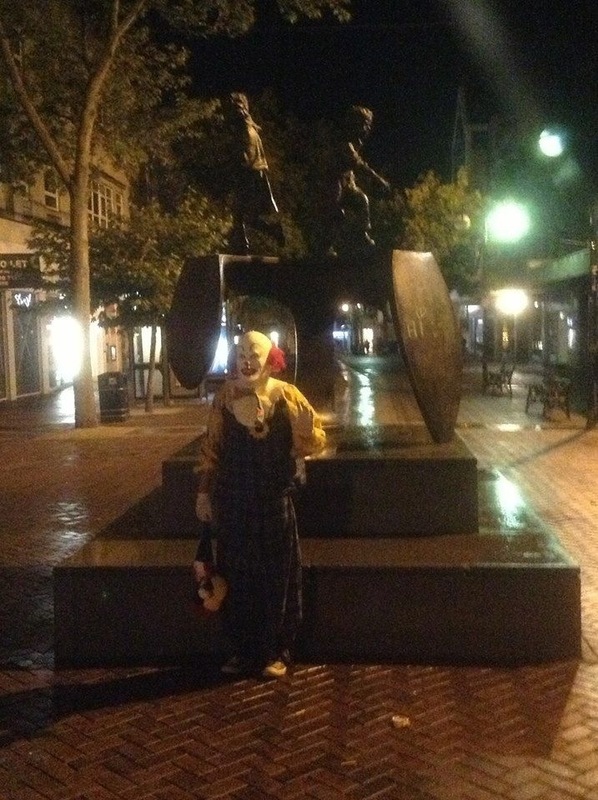 Since my post yesterday the mystery of the Northampton Clown intensified with a Sunday Night appearance in the town square at Abington in Northampton. This story has continued to roll forward through the night, which has seen this hit TV screens in Australia and the USA. Cynics have labelled this person as a time waster and think that they should spend their free time in a more productive manner, many others are in support. 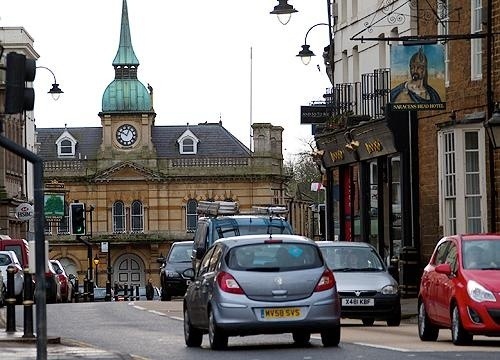 It is wonderful that Northampton has been put on the map for something so interesting and strange. I have not experienced something along these lines before and I think this is why it’s stuck a loud chord with the world. As I drove into work today I heard this mentioned on Radio Five which is pretty damn cool. The web page on Facebook has grown from 7,000 likes on Sunday Night up to just over 38,000 this Monday Evening. It is hard to see people losing interest as things currently stand and I wouldn’t be surprised to see this figure double during the week. One strong rumor circled around a company called Doctor Frights Night and the story that this was linked to them. I can imagine it was to most people’s relief that this story was dismissed as untrue and keeps things going. Last nights photo was published just before midnight with the promise of further appearances during the week. All I can say is keep your eyes peeled Northampton, the eerie mystery continues…. On other news regarding a couple of my sports teams from opposite sides of the globe. Carlton Blues who are my Australian Rules Football Team have over achieved this year. Mick Malthouse who is their coach was tasked with getting Carlton into Finals contention. Not only did he manage that but he oversaw an Elimination Final victory which saw the Blues bow out in the Semi Finals at Sydney. Some people would question that Carlton shouldn’t have played Finals Football this year following Essendon being stripped of their place due to the drugs scandal. I would say this is totally irrelevant and it’s a breath of fresh air to see a team being hit hard and disqualified for cheating. Well done Carlton, 2014 promises so much more. 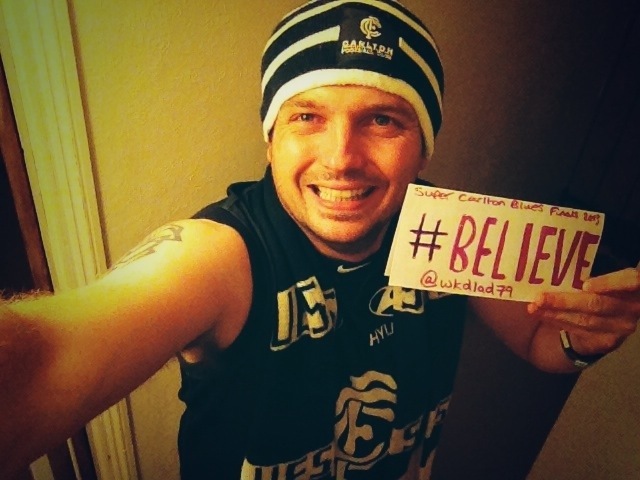 I also loved the rallying spirit that the club drove with the hash tag #BELIEVE which asked fans from around the world to post photos spreading the word. My photo made the Carlton page on Facebook so I was very happy. For my non following AFL followers, the league comprises of 16 teams. The season comprises of 24 games of which the top 8 sides compete to play Finals Football. Carlton finished 9th but took the 8th spot because of Essendon and their Drugs Scandal. Finally my American Baseball team are absolutely flying. The Boston Red Sox have gone from strength to strength and find themselves needing only 4 wins from their final dozen regular season matches to secure the American League East Title. In the last couple of weeks they have smashed both the New York Yankees and Tampa Bay Rays. Last night they completed a 3-0 series whitewash of the NYY at Fenway Park. Boston have not seen success of this nature in the last few years and it is certainly a season of over achieving fairy tales. I am so pleased to see my team close to playing in the World Series and I’m hoping they can see it out and who knows hit 100 Regular Season wins. That would be the icing on top of a sweet cake. 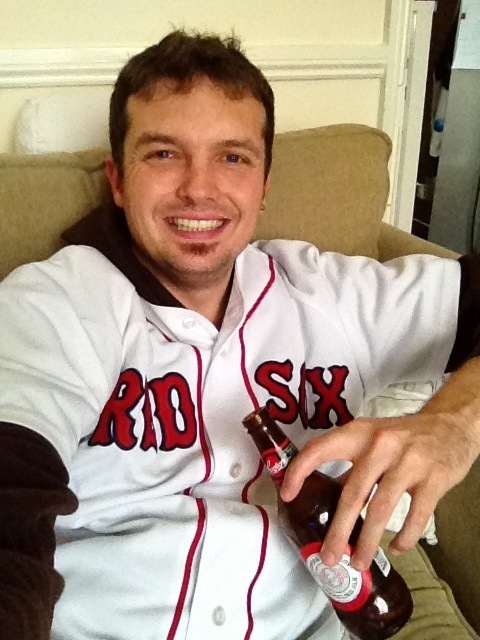 Go Boston Red Sox!! Oh and I just had to get a final mention in for my beloved Leeds United. A gritty 1-0 win at Bolton has put us into the early Play Off places. 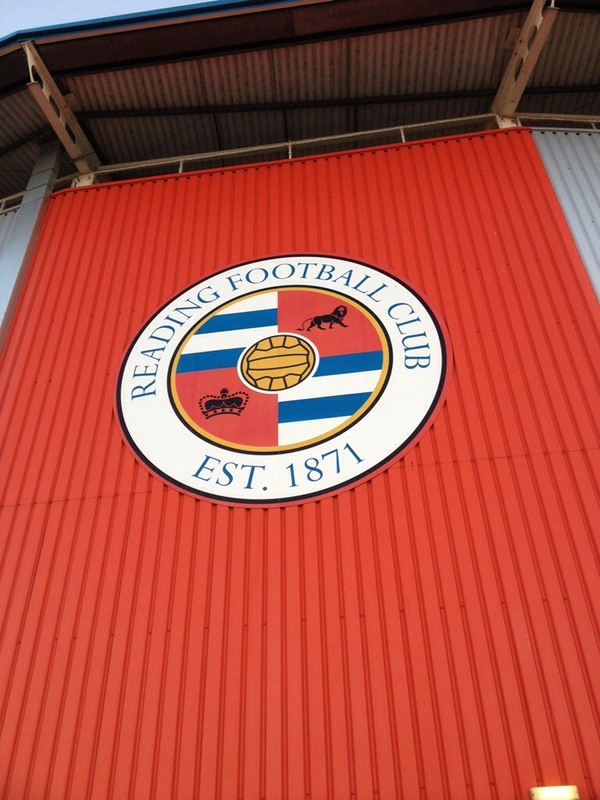 I am making my first away trip this week at Reading and I will post some photos and details on this later this week. Friday the 13th came and passed by with relatively little trouble. I’m not that superstitious however I do have a thing about walking over three adjoined drain covers. I don’t know if there is a story behind this or why on earth I must always do it, but that’s my one thing. I do however believe in the unexplainable and have my share of fears. It is because of the latter that I had to write about what I’ve read this afternoon online. I very rarely take notice of the Social Media rush when it comes to silly and random stories. These are usually constructed in an attempt to drive up followers and likes. It is because of the close proximity and nature of this one that I had to take note and read about it. It is at this point that I would like to make my opinion known regarding this story, I find this truly fascinating and mysterious. Since the aforementioned date there have been sightings of a Clown in the Abington and Kingsley areas of Northampton. The motive and understanding of why this is happening is unknown at the moment, however it has certainly divided opinion of people since its taken to Facebook. 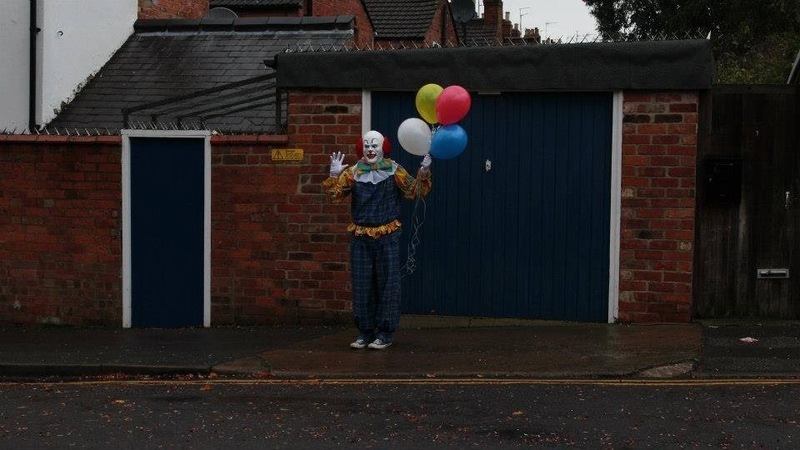 One of my personal fears is clowns, I have had this for as long as I have known. I can’t honestly understand why this is, but this story has sent shivers of nerves down my spine with a little hint of excitement. I personally love testing my fears and to live close to where this has started is almost like flirting with my fear itself. 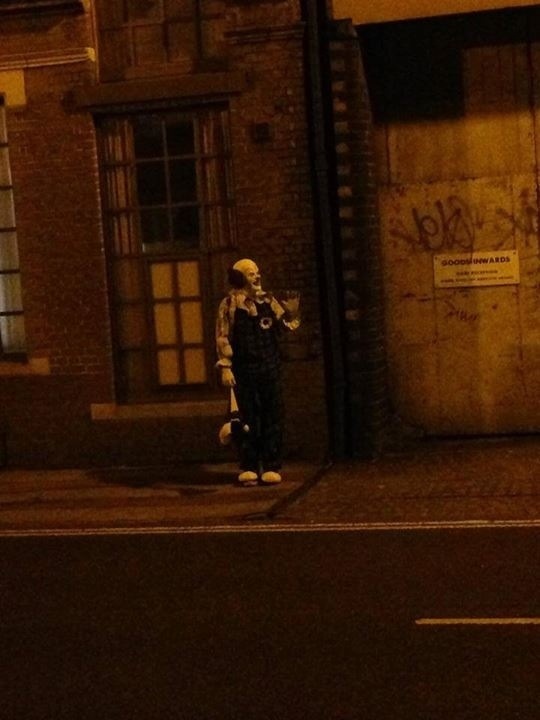 The first article about this Clown appeared yesterday and confirmed that 3,000 people had liked their Facebook page titled:- Spot Northampton’s Clown. This figure has raised to over 7,000 in less than 24 hours. The reaction as mentioned earlier is mixed, but there appears to only be a minority against this so far. I can imagine that something like this can make people feel uncomfortable and this is where people’s true colors and characteristics show their face. After three days since the first published sighting, there have been photos taken at: St Michaels Road and Cedar Road in Northampton. My concern with this is that it will inevitably strike the wrong chord with someone and it could end up causing danger to the Clown itself. Some people have tried spreading rumors about the Clown carrying a knife, which has been immediately dismissed. Social Media is a dangerous animal and the power of a few choice words can be the fuel to any fire. 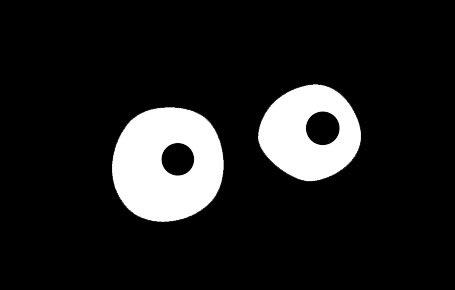 If ever there was a show to watch at nighttime before bed, it’s Channel 4’s latest “what if?” Drama called Blackout. It’s a drama constructed of different stories from people caught up in the scary and unthinkable situation of a week long power cut. The drama itself is well written and highlights all the stages along the way from curiosity and excitement right through to fear and survival. It basically comes back down to animal instincts and those who act on them the most will survive it. The drama is certainly worthy of the positive comments and reviews it has attracted and it has confirmed in my mind, that we as a country would be well and truly tested if put in this frightening situation. From the story of a Mum and her 10 year old daughter traveling from Hampshire to her Mums in Sheffield right through to the self sufficient Dad and family who resorts to looting Kwik Safe and leaving a guy for dead, it makes edge of the seat viewing. It is because of this, that as soon as the final credits rolled up our TV screen in a darkened front room our collective minds got thinking WHAT IF?….. It is because of the hard hitting writing and production of this drama that you can’t think about doing anything else. What would we do if we were thrown into this scary and realistic situation? 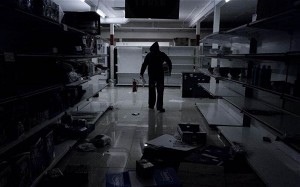 What if cyber terrorists disarmed our National Grid and we were stripped of Electricity? It’s quite an interesting topic of conversation and by the end of it, some quite constructive and devious plans were formed. Day 1 – Go to Waitrose and use the money in our food jar to stock up on bottled water, tinned cold food and a bottle of Jack Daniels (the latter is my wish!) Remember the cash machines will have shut down! Strip our camping box of Gas Stoves, Pots, Pans and the cans of gas we have and move all of this to our top floor. For those not aware of our house layout we have 3 floors. Drive to the Christian Builders Merchants in our town and convince them that The Lord would want this and “borrow” 18mm sheets of Ply and nails to board up our ground floor windows. This would be done on both sides. Put big lock on our side gate in garden and prepare to head into lock down mode. Get through the night and hope that everybody else thinks this is still a novelty. Day 2 – Head out into the world and see what’s going down. 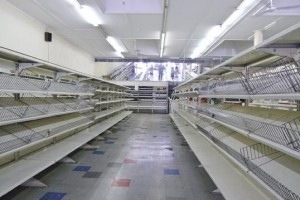 I’m pretty sure that our High Street would be intact but it’s worth using this opportunity to see what else could be purchased or bartered for in our local Hardware Shop. Return visit to Waitrose and see if there are any Ian Rankin Irish Soda Farls remaining and sneak them out whist distracting the Security Guard. Under no circumstances will I be having a BBQ and inviting the neighbors, nor disclosing I have a wind up generator that runs on Beetroot Oil in our cupboard. All Beetroots, Beans and tiny potatoes will be harvested and stored under the bed upstairs. Toilet will comprise of Poo Bags from camping trips and the bath will be filled with water for emergency. Survive the night taking it in turns and hoping the distracting noises outside are nothing more than the local drunks, blissfully unaware of what’s happening in the world. Day 3 – A few noises and an obvious visitor in our garden suggests they were hunting for our Beetroot. Nothing is broken however it is evident that Waitrose is now populated by the local youths of our town. No longer an option it’s a relief I didn’t open up the Soda Farls. Temptation to venture out is still there. Wander down to find the Town Hall is open for a Book Fare confuses me, but what am I to question. Morale seems ok and it won’t be long before the novelty of reading wears off. Discover my cars still where I left it minus two dust caps, strange! Mobile Phone main battery is dead after watching You Tube videos last night, onto back up charge pack. 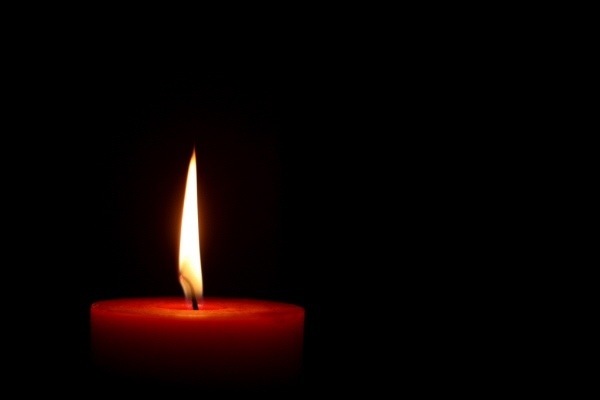 I think we will play Scrabble tonight under Candle Light. Disruption outside and a broken window means we will block up the doorway and stairs to our first floor in the morning. Just got to survive the night yet again. Strange note to self, the sparrows have stopped singing in the evening. Bizarrely as I tried to upload this photo our Broadband stopped working, slightly eerie! Day 4 – We’ve had a break in and our Seed tin has been stolen. It’s also evident that someone has swiped our Magnet collection from the fridge. It’s not safe anymore. We board up the back door best where entrance was forced and roll the fridge against it. Apart from this everything else is intact. We have inherited a copy of All Creatures Great and Small, which suggests to me that this intruder was at the Book Fare yesterday. I shut the door on our staircase and block up the stairs with furniture and various bulky items. We are not leaving the house anymore, Poo Bags thrown out of our windows and the Ian Rankin Farls devoured, we set out to check our security efforts. It looks good but we just can’t get comfortable. There is a strange air of unrest outside, a trolley somehow sneaks past the metal security grid and rolls past our house. It’s not nice and as the dusk settles we think to ourselves, only one more night to survive! Of course we don’t really know this, but it it gives us an edge over everybody else. 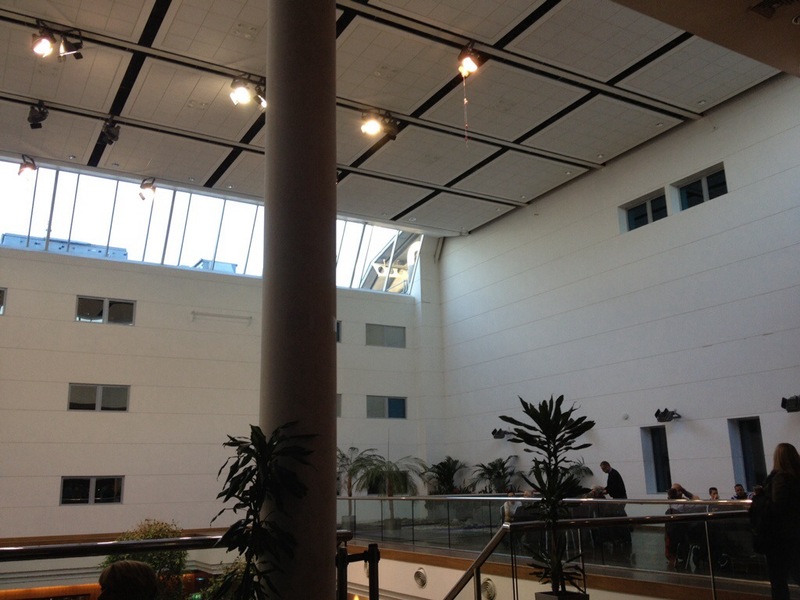 Day 5 – We’ve survived the night and are relieved to find our secure doorway and staircase blockage is still blocked. Noises come from down below us but it could be anything. Noises appear amplified from around and because of this it is near impossible to identify where from. Gas is running low and water is down to what’s in the bath. It’s at this point I really shouldn’t mentioned I cleaned myself in it! The days goes slowly as every second a new threat appears. This bizarrely includes a Traffic Warden checking the cars opposite our house. God they work every hour including the Bank Holidays! Good to see our Councils trying to make some money in these challenging times. As this thought passes I realize it was a looter wearing a uniform, that’s more like it! Final night tonight, just gotta keep on going. 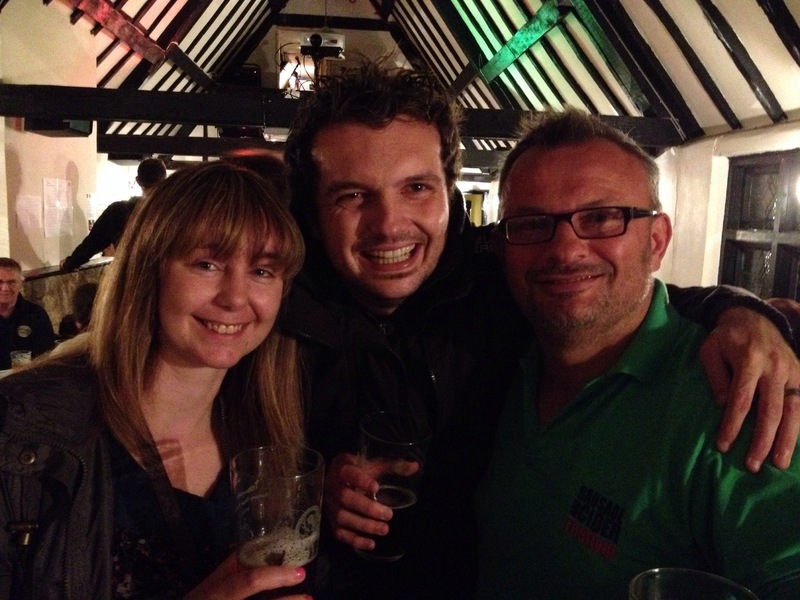 Blog is updated and as I prepare to see through our final night I think hurry up please! And there you go, the dawn of a new day appears, the sunshine glows red and the sparrows are singing. My phone lights up and a network signal appears. The lights outside our house spark up as if to tell us, fear not this ordeal is finally over. It was pretty fun creating our diary and plan to survive this ordeal if presented with it. On a more serious note though, it’s scary just how quickly human nature changes and how public services we rely on heavily will start to falter if this situation happened. Please watch this Drama if you haven’t already done so, it’s easy for me to make it sound light hearted but it drives home some scary facts and truths. So what would you do if you were in the same situation? I’d love to hear your stories. Last month I mentioned about a Book that I had started to write about my travels and year spent in Australia. I started this back in 2010 and it is very much work in progress. I’d like to share the First Chapter with you all today and am equally keen to hear back from you regarding it. Who knows if I get enough positive feedback then I may carry on and complete what I’ve started! Right here goes…. I lay there, it had been a strange night, a cocktail of mixed emotions. The night previous to this I was there with my close friends celebrating my exciting holiday, this morning I just couldn’t move. Last year I had endured what could only be described as the year of hell, well probably not that bad but as the year played out it certainly was eventful but mainly for the wrong reasons. I experienced many things, asked my girlfriend of 3 years to move in and then watch her move out, allow my work to take over my life which probably led to the previous thing and then move out back into my mother’s home. I really had no idea what was to follow but subconsciously I had to ask myself why I had done these things, there must have been a part of me that had already realised that I was not returning home. The alarm sounded and as I looked across with surprisingly focussed eyes I could make out the red figures on my side clock. It was that day, that time, it seemed so distant when I booked this flight but the time had arrived. I sat up for what felt like an eternity and found it hard to muster the energy to get out of bed, this was not due to the fact I was tired, in fact that was far from the real reason, I just didn’t want to step one foot outside of the warm duvet. It was winter in the UK and the country was enduring one of those normal winter periods. I worked in the Building Industry and following a year of rain, floods and snow it really did challenge the company I worked for. As the months passed by and the year was drawing to a close it hadn’t recovered and the fact I knew I was ready to escape from it all was a welcome reminder of why this was the most exciting day of my life so far. Flash back to a couple of weeks previous, my family obviously upset that I would not be spending Christmas with them had made their arrangements for me to at least experience some of the festivities ahead of my departure to the other side of the world. I was at my Dads with his new wife and my step sister sitting down sipping a hot caffeine filled mug of coffee. As my cold hands clasped the warm mug we sat and discussed what I was hoping to do once I crossed the globe and touched the land in Adelaide. I really had no idea, my mind went blank. I was fortunate to have had nearly every book, travel guide or article on life in Australia presented to me by my Dad, he was very keen to ensure that I knew what to expect and to make sure I experienced everything that was potentially on offer to me. My Dad was a planner and to be totally honest this was just what I needed, without even realising to myself right then just by the things we spoke about part of me had given in to the fact that this was probably going to be more than a holiday. I had a copy of the Lonely Planet Guide to Australia, this was the most reputable guide I had heard about and one that formed part of the small library of literature I had accrued to date. It was this book that painted the most striking picture and one that that to this very day sticks firmly in my mind, not that I would know that at this exact moment. As dinner time approached and the most delightful roast dinner with an array of steamed and roasted vegetables was presented in front of me the conversation went less direct. I sat there and soaked up the moment, time seemed to pass at an almost standstill and everything in front of me slowed right down. If ever there was a more crystallizing moment than this, then I had yet to witness it as of yet. Returning to the present moment, as thoughts passed through my mind from previous occurrences I was out of bed. It was an almighty effort, but following what seemed like the longest stretch possible without damaging my back I was up and ready to finalise all the packing that I had left to the very last minute. I was never really a planner, one trait that my Dad had failed to pass onto me, but I always had the ability to complete tasks with the smallest amount of time remaining. The shower felt great and refreshing and quickly changed I launched myself into it, what on earth would I need? I wheeled out the biggest red suitcase, the one that had served me well from the Majorca holiday of almost ten years ago. I had not used it since that eventful trip with my best friend James and I had to rip off all the airport tags and stickers that dressed it, so that I would at least stand a good chance of my luggage arriving in the same country as me worst case scenario. I am a typical bloke when it comes to working out exactly what I require; I think the maths in my head went something along the lines of… 4½ weeks = 31 days, worst case I can use x 3 times etc. 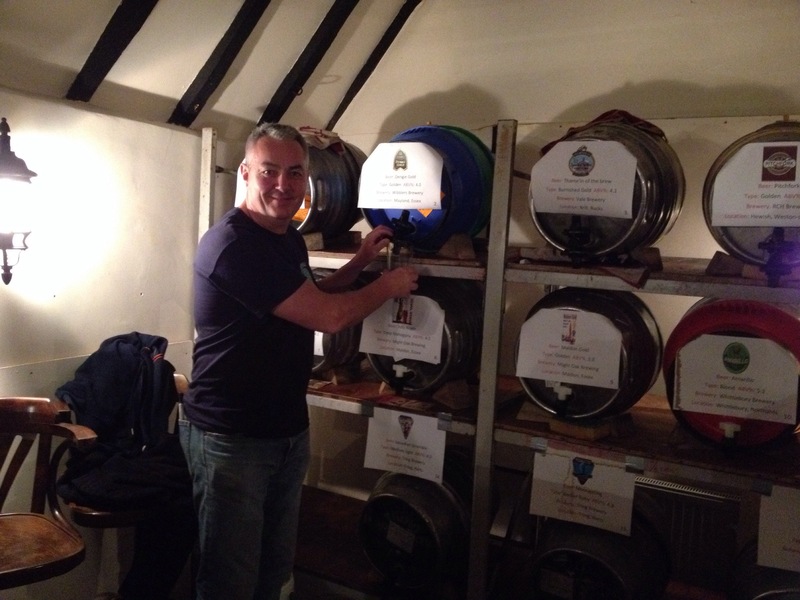 etc… Anyway let’s just say for somebody who started his career as an estimator I really had left myself short! I am convinced as most guys are, that mothers know of this fault and as I finished my breakfast I was almost certain that my suitcase seemed heavier than when I had left it just 20 minutes previous. The main thing was that I was packed, not ready but packed. I don’t think I could ever really be ready. I was certain not to spend the day pottering around the house in anticipation for my Dad to collect and drive me to Heathrow in London, so I made the most of things and my two best mates kept me company that afternoon. It was real commitment from them both especially as they had booked the day off to do so but at the same time I felt like it should have been the three of us going to endure the biggest adventure of our lives together. At the beginning of 2007 when I had decided I was going to Australia, we all had an agreement albeit verbal that if nothing major changed in our lives regarding jobs or security that this was going to be our holiday, unfortunately I was the only one to proceed with booking the flight. I could tell by James and Mikes reactions that they wished they could join me, but just been near them on this day albeit temporarily, took my mind off the day’s flying that lay ahead of me that evening. It was a nice feeling being able to spend with my two best friends, however as time was passing slowly, it meant I could not help but constantly think about that flight. I had only ever flown a couple of times that I can recall, once to Majorca as mentioned previously and the other time was to Munich to watch my beloved Leeds United play in the Champions League. These were both relatively short in comparison to what lay waiting for me. As the afternoon passed the time finally arrived, my phone in my pocket started ringing and without even having to look at the screen I knew who and why they were calling. Without too much hesitation I answered the phone, grabbed my luggage and said goodbye to my Mum and friends. Imagine a world where choosing what you do is restricted. Lets say in a lifetime you were limited and could only do a certain number of things. For the sake of this scenario and to make it more interesting this wouldn’t include the decisions you make in your working life nor the things we do by habit i.e sleeping and eating. I am talking about the things that make our life pleasant and enjoyable, the life changing choices that give our life meaning and direction. So picture this, what if the system had crashed and you were told you had to make your choices. There are half a dozen choices and decisions remaining. These could be taken at any time during your life, but they would need to be specific. Some hard decisions and choices to be made one would say, I’d think that was a slight understatement. So what would I choose if placed in this fictional and totally unlikely situation? 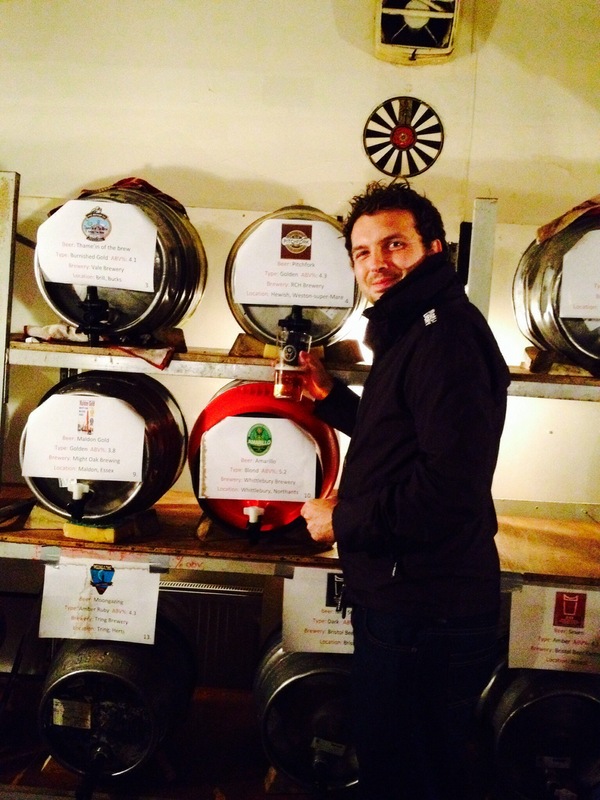 Here goes……. 1. 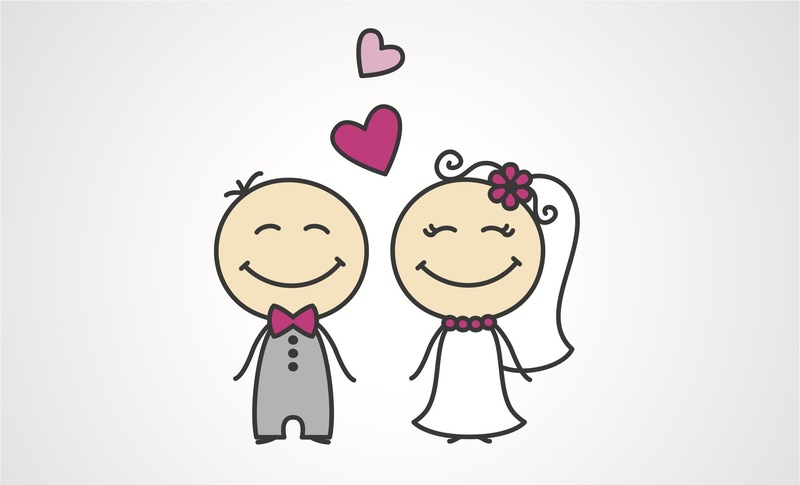 Get Married – I’m very lucky that I’m engaged to the person I know was meant for me. You could say this makes this decision easier, however Marriage is something I strongly believe in and one of the choices I’d choose. 2. Live In Australia – It’s an amazing country and somewhere I’m very lucky to have spent 2008 living in. This is certainly a choice I’d happily make and once the right point arrived in my life I’d be on that plane ready. 3. Arrange that Dinner Party – I’ve always wanted to have a dinner party with people who are famous and be in a situation where I could just chill with them over dinner. They would have to be alive (no time travel) and I’d choose Derren Brown, Jimmy Carr, Ricky Gervais and Stephen Fry. Hilarious banter awaits! 4. 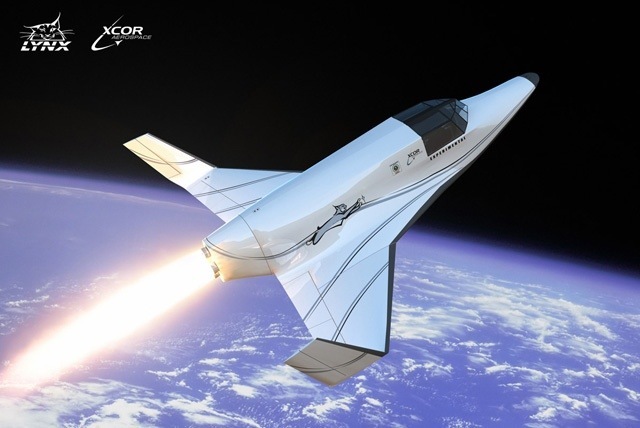 Space Travel – it’s something I’d love to do and it fascinates me. I’d love to be in a spaceship and see our planet from space. I’m not talking about living on Mars but having the chance to travel into space would be worth using one of my choices up for. 5. Experience Glastonbury – One festival I’m desperate to say I’ve done and to experience its magical atmosphere. Sadly the way in which you can apply and purchase tickets for this festival will never improve so because of this I’m using one of my valuable choices to ensure it happens. 6. Start a Family – Family is so very important to me and even though this is a strange scenario to be in, I’d feel guilty for depriving others from having the same choices. I’m a family person and because of this I’d be so determined to start another generation of my family. I’d love to experience a family unit and because of this, that would be my final choice. Wow, that was actually quite enlightening and certainly puts the fact that we have every opportunity to live our lives the way we want into perspective. I’m certainly going to continue enjoying what I do and make the most of every day I have. You never know when the system may crash one day! PS – I’m totally aware that this has many flaws in it and my hopes of becoming a film writer have finally been written off! How many teams can one support? Tonight I’ve been thinking about something that takes up a large proportion of my time everyday, sport. I am a sports fan, I love following different types of sport which in turn results in supporting different teams. Everyday it starts the same. 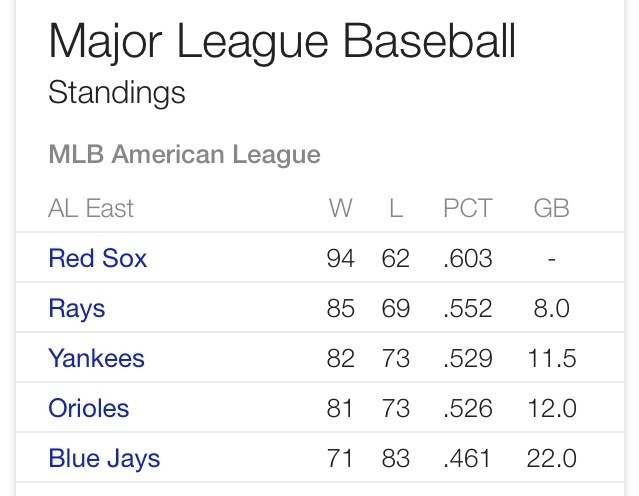 I will switch on my Bat 2013 Application just as my alarm goes to check how the Boston Red Sox are doing. It gives me a kick start or a knock back depending on the result. I won’t lie but this usually influences my mood during my car trip into work. 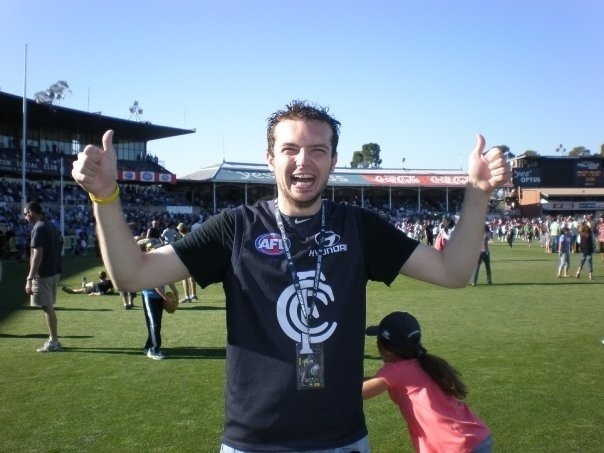 When I went to Australia and spent 2008 there, I watched Australian Rules Football. I didn’t just go to one game, no not me, I went to all their games and bought a Season Ticket. I went to training sessions, visited their ground and met the President and Trophy Rooms. I didn’t just want to be a bit involved, I wanted to make that team my own. For those wondering who I’m talking about, I chose the Carlton Blues. Because of this I find myself watching their games each weekend at the crack of dawn due to the time difference in Victoria, Australia. I also love Cricket, I watch England play and saw England lift The Ashes in 2005. I follow Yorkshire and will always follow their scores be it, County Cricket, 40 Overs or Twenty Twenty Forms of the game. I am a Rugby Fan of both forms, Union and League. I will go to Headingly and watch the Leeds Rhinos and Leeds Carnegie play. I will always watch their games on Sky Sports and follow the team news online. 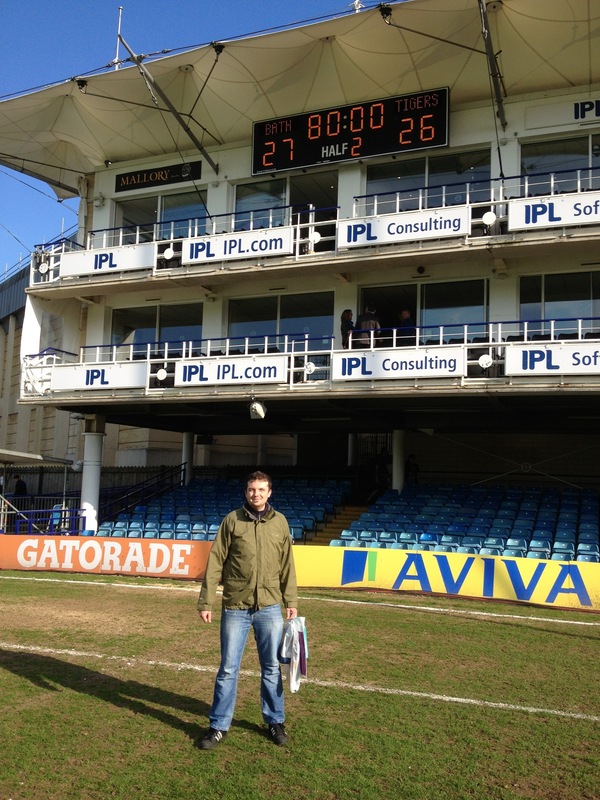 When I travelled to Bath this year I even went to the Bath v Leicester Game and had my photo taken on their pitch. I am a nut, I have to be involved and be part of the team. This leads me finally to Football, my number one love. 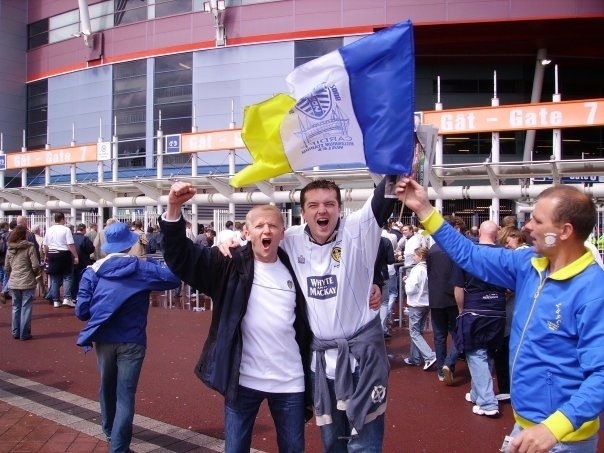 I am a massive Leeds United fan thanks to my Dad. I’ve been a fan since 1989 and have so many fond and not so fond memories of the Whites. I’ve been to so many games and will always check the games on Sky and Twitter when I can’t make the game. I do still wish I lived a stones throw from Elland Road but I don’t let that put me off. My Grandad is a Leeds fan too but is a Hibernian fan as he grew up in Edinburgh. I will always look out for Hibernians results and this is partly because I love having the conversation with him on the phone. In conclusion some will say I’m greedy but if there is one thing I can confirm, I love sport. In my eyes to show true commitment to my teams, it’s only fair that I give them all the time they deserve. I am still waiting for a weekend where they all win! Oh and please don’t get me started on shirts. I have a huge collection of Leeds United, Leeds Rhinos, Leeds Carnegie, Yorkshire, Carlton, Boston Red Sox and other sports tops which I will wear when necessary.